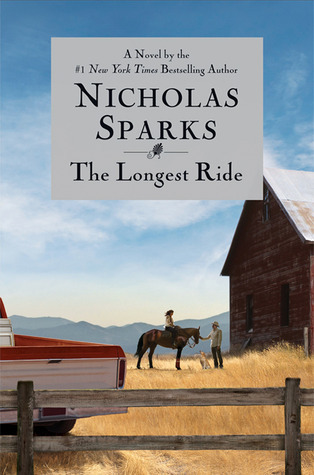 Anyone who knows me, knows that I swear up one side and down the other than Nicholas Sparks is NOT a romance writer. So imagine my dismay when I saw that his newest book was nominated as an audiobook in the romance category for the Audies…yes, I was seriously shaking my head…and my ambivalence continued as I started to listen. I don’t need to say a lot about the plot though because the jacket copy seems to do a pretty good job of describing the basic gist of the plot (which is a personal irk..but oh well). I enjoyed the flash-back method used to tell the story, especially since it wasn’t chronological flash-backs, but rather event driven. I also enjoyed trying to figure out how Luke/Sophia and Ira’s paths were going to cross, I had the one figured out, but there were a couple of other tiny strings that also criss-crossed through-out the story. I will admit that I was sucked into the story, both Ira/Ruth’s and Sophia/Lukes and I thought that the chosen narrators did a really good job. Both of them (Ron McLarty and January LaVoy) fit their main characters (Ira and Sophia) perfectly. However, I think I would have preferred to have Luke voiced by Ron, rather than January, because it was a bit disconcerting…but that is just me. The production was really well done. The mystery man threw off his disguise and started to run. Furious stewards gave chase. The crowd roared. A legend was born. Soon the world would know him as ‘the ghost runner’. John Tarrant. The extraordinary man whom nobody could stop. As a hapless teenage boxer in the 1950s, he’d been paid £17 expenses. When he wanted to run, he was banned for life. His amateur status had been compromised. Forever. Now he was fighting back, gatecrashing races all over Britain. No number on his shirt. No friends in high places. Soon he would be a record-breaker, one of the greatest long-distance runners the world has ever seen. So one day I was browsing the new arrivals shelf at the library (normally, I stick to the fiction side, but for some reason I was on the non-fiction side) when this book caught my eye. It wasn’t even that the cover had a bright anything to catch my eye, since its a black and white photo, but there was just something…and I’m glad I did because it exposed a facet of sports (both national and international) that I’d never thought about. I mean, I grew up in a era with over-payed (IMHO) sports stars going to the Olympics, rather than the true amateurs like years past. When he was a young man, John Tarrant was paid £17 as a boxer, which according to sports regulations at the time, meant that he was no longer an amateur and thus couldn’t compete either at home or internationally as a runner. Over the next 20 odd years, he ran race after race, unregistered; often waiting until after the race started before shedding his disguise and jumping into the midst of all the participants. Overall, I enjoyed the book, but the middle got a bit dry – while I understood his plight and how much it must have sucked for him (for lack of a better word), I felt like the author became too focused on the continual fighting that went on between John and the various leaders within the athletics communities. I also was a bit disappointed that for the most part John’s running times (in particular those races that he won, but didn’t win) weren’t ever actually mentioned – I mean, the claim was made that he was the greatest long distance runner of all time, but there was no quantifiable data provided to support that. Overall, I gave The Ghost Runner 3.5 stars, but rounded down to 3 on Goodreads, mostly because of the lag in the middle. A lot of my friends who read m/m romance rave about PD Singer, but until now I had never actually tried anything by her. So when my friend Frances offered to let me borrow her copy of Spokes, I took her up on it. And then I’ll admit, it got added to Mt TBR and it loitered there for a while…lol (what can I say, too many books, too little time). But then one day, I picked it up thinking that I would just read a chapter…boy was I wrong. I was immediately sucked into Christopher and Luca’s relationship, or rather lack thereof at the beginning. I loved the whole cycling team set-up, or rather the cycling team, and a wanna-be cyclist who needs help – I mean, I’m a sucker for a guy who will actually ask for and accept help (no comments from the peanut gallery!). And I could really tell that the author had done her research into the world of cyclists – yes, she had the major things down, but it was the small things like when Luca explained to Christopher how to improve his stroke on the pedals to give more power while riding. The story itself was pretty action packed without being too angsty – although, there were a few moments where I wanted to slap both Christopher and Luca upside the head. It was like talk guys!! But thankfully, everything did work out and the ending was happy, albeit bittersweet. Overall, I gave Spokes 3.5 but rounded up to 4 stars on GR and I’m looking forward to checking out more books by PD Singer in the future. These are the last cryptic words that Ava Barrett’s father says before he dies. But Ava doesn’t have a brother, as far as she knows, so how can she tell him the truth? She dismisses the conversation and dedicates herself to bringing her family together for her father’s funeral. This is no easy task, since her sister, Elaine, has been estranged from the family and still harbors resentment against their stepmother and half-sister, Gigi. Ava, on the other hand, is a single mother who sees Gigi as a troubled teen in need of love and connection. When I got my first look at the cover for Beach Plum Island, my immediate thought was that it would whimsical, flirty, a light kind of read. But having previously read Holly Robinson’s work, I knew that wasn’t going to be the case – she manages to find that story that tugs at the heart-strings. And Beach Plum Island was no different, although I will admit that it wasn’t as angsty as her previous book – not that I’m complaining! I was sucked in to the story of Ava, Elaine and Gigi from the very beginning – there is something about Holly’s writing that makes the relationship between the women so real – I mean, I felt like I was watching three sisters interact, there were happy moments, sad moments, moments where I wanted to hit one (or all three of them) upside the head. There is definately plenty of angst between the three of them, from Ava/Elaine and the sisters who grew up together, to Gigi, the interloper, trying to figure out where she fits in the family. Added to that the last words from their dying father, about a brother no one knew existed. The mystery of finding their brother played out well through the book, it wasn’t like a wham bam solve the mystery ma’am, but rather a gradual release of clues and discovery leading to the ultimate discovery. There was definately a feel-good ending to the book. This was one of those books where you think you are just going to read a chapter or two, and then next thing you know its 2am and your alarm clock is going to go off in 2 hours…(yeah, it most definately got snoozed that morning). Its hard for me to say which authors are similar to Holly Robinson, maybe Kristin Hannah with her female relationships, but I think that Holly’s books tend to be more final at the end, whereas sometimes Ms Hannah’s leaving me feeling not quite done. Overall, I gave Beach Plum Island , 4.5 stars, but rounding down to 4 on Goodreads (and up to 5 on Amazon). 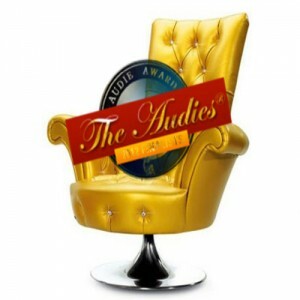 I had so much fun listening to the various books nominated for the Audie Awards next year that I decided (prior to the release of nominations), that I wanted to participate again and that I would likely do the romance category again. But that being said, when the nominees were announced, I was kind of disappointed in the nominations. Looking at the nominees garnered as interesting selection of books, two of which I may have trouble understanding because they are books 10 in series where I have only read up to book 5 in one and hadn’t even started the other; one by an author I don’t particularly enjoy (and debate whether he actually falls into the romance category or one); one book I had already read and one book that i’m actually interested in listening to…so all in all, I’m feeling a bit ehh going into my listen. I will admit that while I’m ambivalent about the books themselves, I’m looking forward to checking out the narrators, many of who are new to me. So it will be an interesting listening season. A simple phone call can change your life… just ask successful businessman Sullivan Chasen. When the caller shares the news that Sullivan’s father is dying, Sullivan laughs and hangs up. He isn’t being heartless, he just knows that it can’t be true – because his father already passed away… ten years ago. Like a bad dream, the calls keep coming and DNA results turn Sullivan’s world upside down. There is only one way, and very little time, to figure out the truth. He packs his bags for the small town of Ferry Creek, North Carolina. Once Sullivan arrives, he must confront a past he never knew existed, including a half-brother who lives above their family diner. The longer he spends away from his wealthy lifestyle and successful business, the more he falls in love with the small town, its community… and waitress, Jess Winthorne. I’ll admit that recently, I’ve been fairly picky about what books to feature on my blog for promo tours/reviews – not because they don’t look interesting, because they do, but because my time has been fairly limited. However, when the email popped up from RABT for Ms James’ book, I was intrigued enough by the description that I said that I would be interested in being part of the blog tour. This reasoning is what makes it a hard-ish review for me to write because in all honesty, I enjoyed the premise of the book and for the most part the story was decent – but I had quite a few issues with the writing style – almost to the extent that I nearly gave up on the book (but I persevered). I’ll admit that the whole millionaire/billionaire storyline doesn’t always work for me, mostly because I have been reading romance for so long that i’ve seen pretty much every reincarnation in characters that are out there, or so I thought. But there was something intriguing about Sullivan that I liked. I think because for the most part, he didn’t necessarily try to “fix” everything with his money – in fact, a good portion of the book revolved around the idea that money can’t fix everything. I had a harder time with Jess, the heroine, for me, I just felt that she wasn’t quite as three-dimensional as Sullivan was – while this was a romance novel, and there was a bit of romance, I never got a true sense of why they fell in love, it was a bit of an insta-love type scenario. Plus, I kept hoping that she was going to hook up with the Cop (even though I knew that wasn’t actually going to happen). I think my biggest issue with the book was the writing style in general. It felt very chunky and didn’t flow well. The conversation between the characters felt very formal (kind of like what you would potentially expect if you were in a situation with a person who didn’t speak English as their first language). It just didn’t feel natural, like 2 people really having a conversation. I do think its something that could be improved on, and its unfortunate that it just didn’t work for me in this instance. Plus it really felt like there was a lot of “telling” rather than “showing” when it came to the writing style, almost a bit like an info dump at times. But I know that the author has several other books out, so i’m interested to see if that writing style translates better into other books or not. Mr Good Enough reminds me so much of me at times – while I am still happily single – some days I wonder if I will ever find Mr Perfect/Almost Perfect, or will I end up settling for Mr Good Enough. I really liked the whole online dating scenarios in the book – considering the amount of these that are around nowadays (and some stats say that 1 in 5 relationships start online), it surprises me that there are more aren’t using an online dating trope. But it wasn’t just the whole storyline that I enjoyed – it was how the characters seemed so real – from Maddie with her paint quirky-ness…(and really, purple icing on a cake…reminds me of a mutual friend that Jamie and I share)…and as for Trent – i’m always a sucker for the bad boy turned good – who struggles with his past, even if its many years later. there is just something that makes you want to reach into the pages of the book and give him a big hug (or take other liberties). Overall, I gave Mr Good Enough 4 stars for a quirky contemporary read.